When historian Diana Bishop opens an alchemical manuscript in the Bodleian Library, it's an unwelcome intrusion of magic into her carefully ordered life. Though Diana is a witch of impeccable lineage, the violent death of her parents while she was still a child convinced her that human fear is more potent than any witchcraft. Now Diana has unwittingly exposed herself to a world she's kept at bay for years; one of powerful witches, creative, destructive daemons and long-lived vampires. Sensing the significance of Diana's discovery, the creatures gather in Oxford, among them the enigmatic Matthew Clairmont, a vampire genticist. 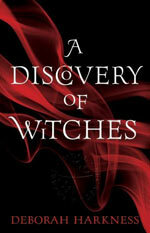 A Discovery of Witches is the debut fictional novel from history professor, popular wine blogger and historian of science, Deborah Harkness. 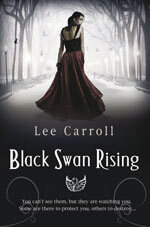 It’s scheduled for release in February 2011 and I can’t tell you how excited I am by this novel! It’s the best book I’ve read this year, and certainly the most intelligently written book I’ve read in much longer than that. Initially set in modern day Oxford, A Discovery of Witches is narrated in first person by Diana, an alchemy history academic who has been unwilling to use the witch powers she inherited as the child of two talented witches. The author wastes no time introducing magic into the story; the opening pages see Diana call up an enchanted (and supposedly lost) manuscript from the Bodleian Library. Diana wants no part of anything magical in her research and sends the Ashmole 782 manuscript back to the stacks but it’s already too late. The manuscript was seen and before long every witch, vampire and daemon in England is following Diana – desperate to get their hands on Ashmole 782. A Discovery of Witches reveals a world of secrets to the reader. Firstly vampires, daemons and witches all exist alongside the unsuspecting human population. Creatures have been around forever – humans just have a knack of denying what they don’t want to notice. Vampires have near immortality, super speed and senses combined with an apex predator’s nature. Daemons are highly creative beings prone to madness “the rock stars and serial killers” of the creature world, while witches have magical abilities. The question of where the creatures came from and how they are related to humans, and each other, is the driving point of the story. Matthew Clairmont, a vampire scientist who studies genetics, has been trying to get the answers out of DNA but Ashmole 782 is purported to reveal the origins of the creatures. He wants the manuscript but once he meets Diana, he wants her more. Initially the supernatural elements are kept fairly low-key – there are no sword-welding Buffy types shoe-horned into tight leather pants in this story (thank God) – but as the story unfurls the supernatural elements increase exponentially. The gradual development of the fantasy elements makes A Discovery of Witches likely to have a great cross-over appeal to a non-fantasy, general fiction reading audience, while skilful fantasy world-building ensures that no readers will get left behind. The novel is a fairly hefty tome – weighing in at nearly 600 pages. The book’s length gives the story plenty of room to develop at its own pace. This is a complex story that combines history, science, magic, wine and vampires with mystery and romance – it needs room to breathe. The story pacing is consistent though, so while it may take longer to read than the average book there are no lulls in the plotline and certainly no filler. Impatient readers looking for instant gratification may not rate A Discovery of Witches so highly for this reason but as with all novels it is important to remember that the journey counts for as much as the final destination. The author has answered questions in her story such as what would you feed the vampire that you invite to dinner. The subsequent food and wine parings are amazing, especially the wine choices and the descriptions of the taste of the wine. While this is no doubt a result of the authors wine blogging past, the overall impression is of a well researched, highly believable answer to that age old question of what to fix a vampire for dinner. This is just one example of the thought, research and intelligence that this novel has been written with. While describing the contents of A Discovery of Witches is relatively straight forward, comparing the book to others and explaining why it’s so good is not such an easy task. The novel defies simple pigeon-holing. The romance between Matthew and Diana has all the hallmarks paranormal romance gold – a vampire protector, forbidden love and potentially lethal desire, combined with delayed gratification… the appeal here is obvious, especially for Twilight fans. However A Discovery of Witches has more to it than romance. There is also mystery, a strong connection to history and aspects of the popular modern thriller too – after all, the hunt for secret manuscripts is definitely Dan Brown territory. I’m loath to say it (but I will anyway!) A Discovery of Witches could actually be Twilight for grown-ups. The romance is perhaps not quite so intense, probably because romance isn’t the only focus of the story and also because the protagonist is a strong independent woman who’s older than seventeen. While Twilight’s Bella Swan was inexperienced enough to not know any better than to believe that death would be preferable to life without love, Diana Bishop is old enough to know that this isn’t necessarily true but willing to risk it all anyway. This book is extraordinary, exceptional and brilliant – yet the best news is that A Discovery of Witches is the first part of the All Souls trilogy, so there’s more where this came from to look forward to. Hurrah! Find out more about this book and read an excerpt at the author’s website. Visit Deborah Harkness’s website.